RECEIVED TOPPER TAKES A TRIP TODAY. ALREADY WATCHED. GREAT MOVIE. Good ebayer Thanks! Fast service! Good trust worthy seller. Item arrived quickly in described condition (new). The disk was poorly restored, with varying contrast and brightness. 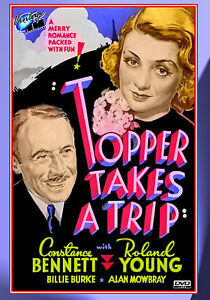 Topper Takes a Trip is the second in the series of Topper movies. Roland Young & Billie Burke will always be such characters to watch! When I was little, we would wait for months and months for a channel to have any one of the series on the schedule. (Way before VHS & DVD's). If you're into the oldies, good clean fun, and tons of giggles, this is the 2nd, of the trio, to see! There's a secret item in every one of Hal Roach's Topper movies. See if you can guess what it is! Enjoy! good enough for casual viewing. 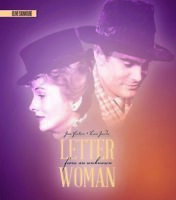 The DVD could have a better re-working to sustain a more level brightness and contrast, but appears to be an acceptable rendering of the original movie. Not bad if you like the Topper series but the quality of the recording is not good. I'm still glad to add it to my collection, but if you like perfection you might want to pass. Good quality DVDs as far as pictures and sound. Love them so much very entertaining!